I look forward to greeting you this shabbos hagadol for TWO special reasons! 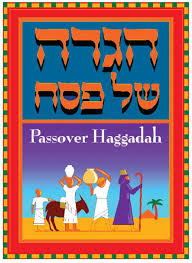 We will examine the Hagada text for unique insights and observations that will warm your heart and inspire us to greater ruchinus heights during the Seder! 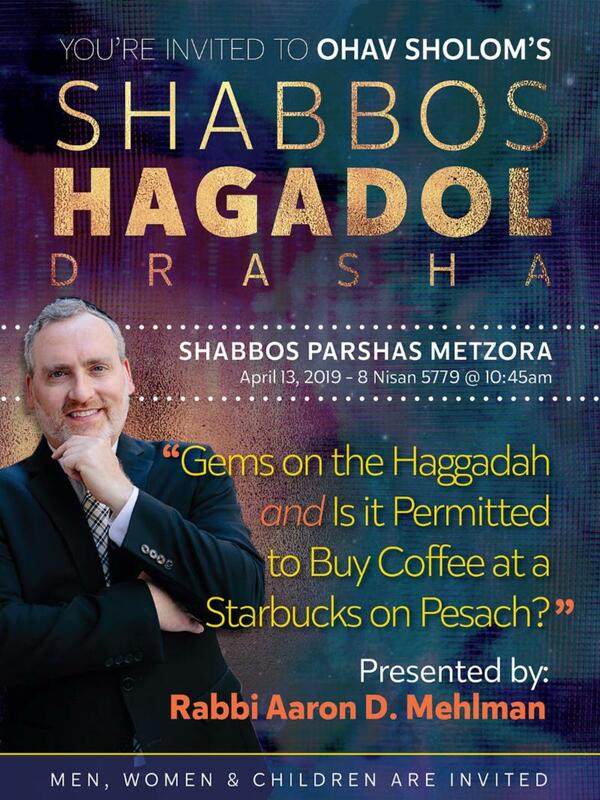 And we will briefly explore the dynamics of “ bitul ,” dilution and negation ratios, both prior to and during Pesach and determine if ground coffee in an openly chometz environment poses a problem. 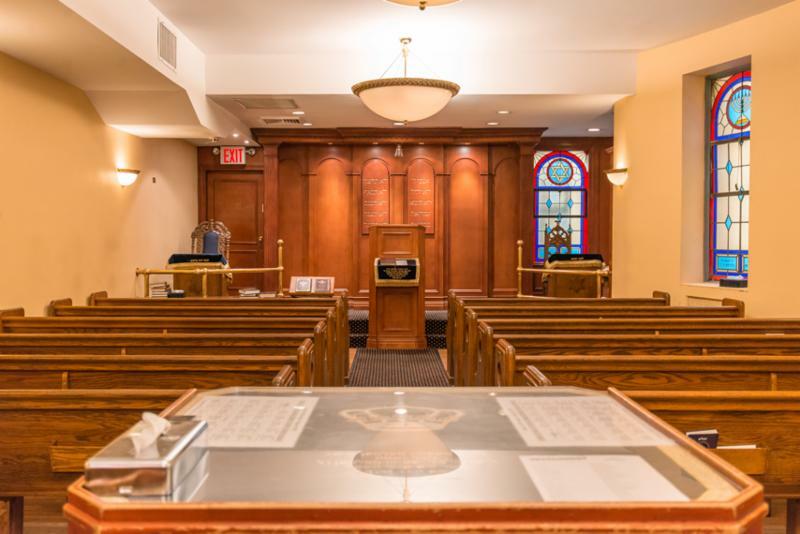 I am honored to be asked to deliver a shabbos hagadol drasha to our sister minyan, the West Side Sephardic Synagogue, as well. I look forward to addressing this remarkable group of dedicated young men and women heralding originally from France and Morocco. Additionally, Ohav Sholom will commemorate the first yahrtzeit of our beloved gabbai, Danny Lieberman, z”l , whose first yahrtzeit is this erev shabbos hagadol. We thank our many generous sponsors who responded warmly to our appeal to remember this great man. Join us for a super gala kiddush by the delicious L’chaim Caterers this shabbos hagadol morning! It is with great joy I announce the engagement (last night) of my dear nephew Yehudah Mehlman of Flatbush to C.B. Rothberg of Queens! May the super talented musician (and much more) Yehudah build a true bayis ne’eman with the newly graduated Registered Nurse Chaya Baila - both of whom dedicate their lives to sick Jewish children in many incredible ways. Mazel tov to the wonderful new couple and to my brother Josh and sister in law, Malkie ! 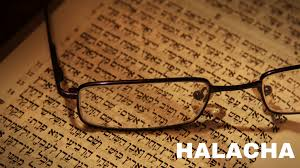 Join us this shabbos afternoon for a special edition of our exciting Young Men’s Professionals Halacha Chaburah at 7:45 pm (twenty minutes before Mincha) as we prepare to halachically observe the Pesach Seder. I look forward to seeing you there! 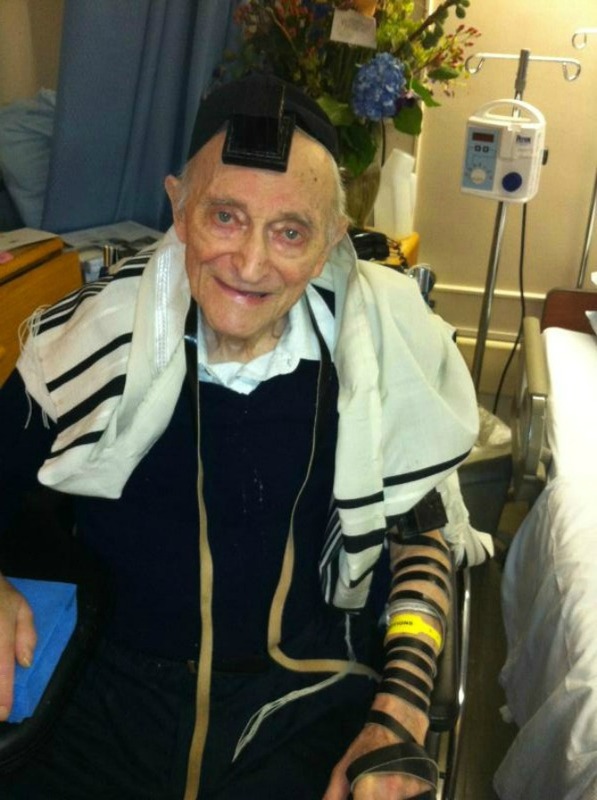 Commemorating the First Yahrtzeit of Danny Lieberman, z'l. 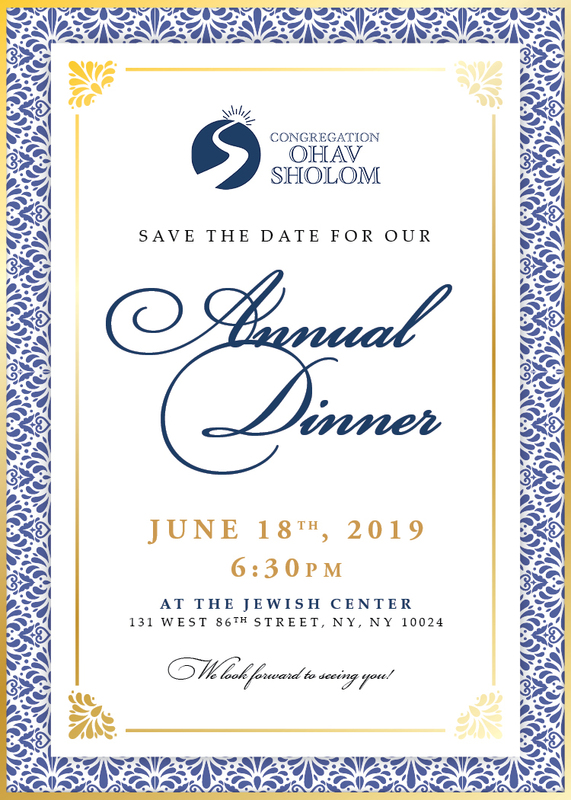 Now on Danny’s first Yahrtzeit, I hope that these photographs of the Annual Dinner honoring him will remind us of the service that Danny provided us for so many years. 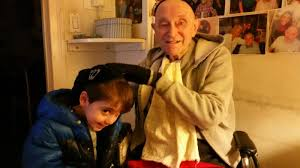 He gave his full heart to Ohav Shalom, and that should serve as an example for all of us as how to give. Additionally I want to thank Israel Fridman for volunteering to take these wonderful photographs. Shabbos, April 13: 10:45 am. & Delivered by Rabbi Mehlman. 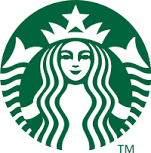 Buy Coffee at a Starbucks on Pesach?" * Tefillin & Mezuzah Check! Sunday, April 14: 9:00 AM. Same day checking & pickup! * Shaimos Collection & Disposal! 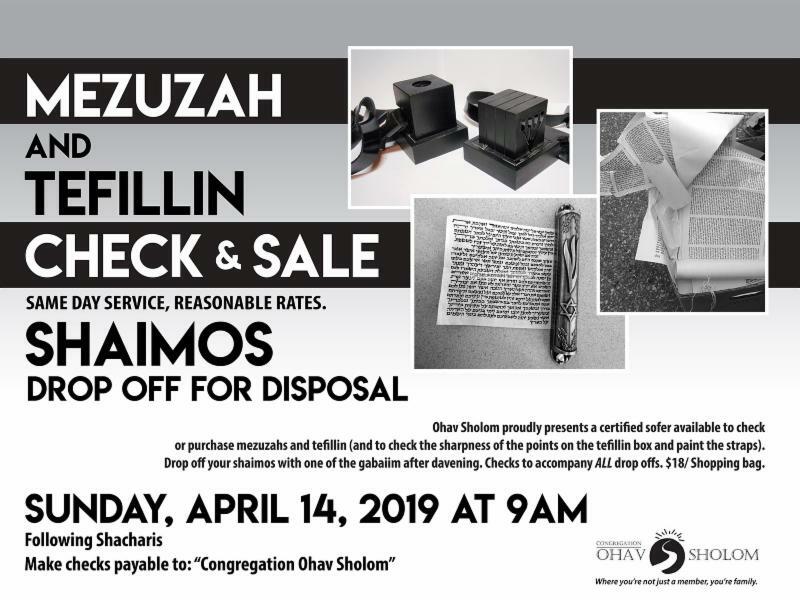 Make checks payable to: "Congregation Ohav Sholom"
Authorization forms are available on our website and in the shul; please sign and return by mail or fax prior to April 18 th . The Rabbi is available daily after services to complete this transaction in person. * Fast of the Firstborn! Friday, April 19: I will G-d willing make a siyum on mesechta Chulin at 7:45 AM (Shachris 7:00 AM). 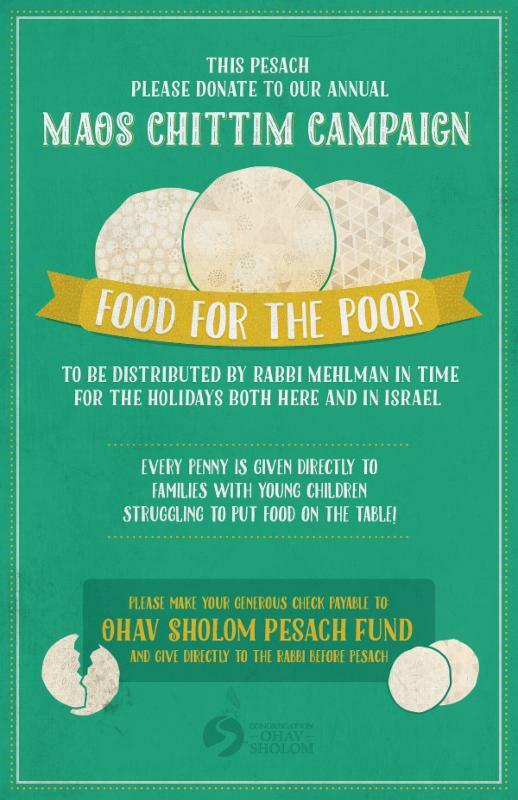 If you are a firstborn or have a firstborn under bar mitzvah, you must fast or participate in a siyum in order to eat. * Burning of the Chometz! Friday, April 19: 10:30-11:00 AM. In front of the shul. No dropoffs!